Attention! 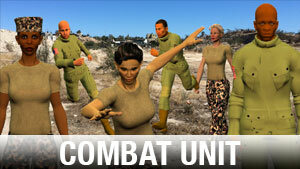 These military-specific storyboard characters are ready for action! Whether working on a historical project or the latest high-impact action motion picture, these best-of-the-best know how to get the job done. 6 characters, 6 poses, 4 elevations and 8 rotations for each action, including facial expressions!